You get a lot for the price: reasonable audio performance, 12 hours of battery life, and a lightweight fit. 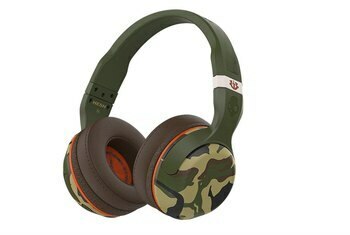 With sound quality, you can expect a deep bass and respectable highs. 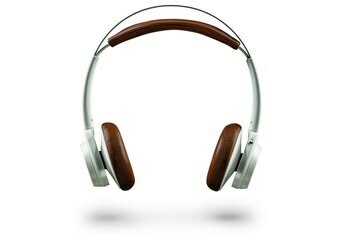 Using the bundled USB charging cable, you can listen to your music on your Mac or Windows machine. The unit's design, which some reviewers describe as "1980s-like," might be a total turn-off. The Sound Blaster JAM did not always work well for phone calls, thanks to instances of background noise and inferior voice quality. 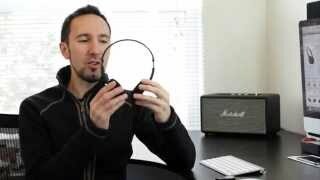 The earpads do not swivel nor do they fold down for storage. 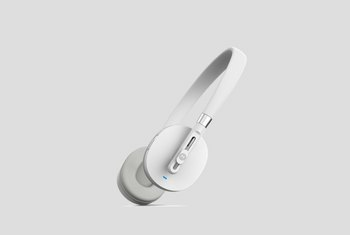 Bluetooth on-ear headphones for 50 bucks are rare. 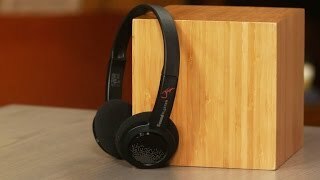 Creative Lab’s Sound Blaster JAM headphones may not wow you with how they look, but for listeners on a budget, they will impress on other fronts. 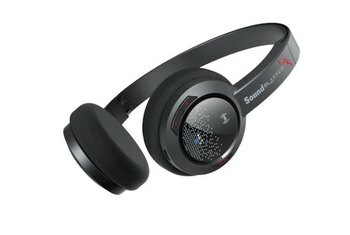 The Sound Blaster JAM offers foam ear cushions along with a solid 12 hours of music time. The controls for music handling, call management, and volume are built into the earcup, so you can give your bass a kick with the one-tap enhancement option. The Sound Blaster JAM weighs only 3 ounces. Other than Creative’s 1-meter USB charging cable and printed documentation, nothing else is in the box. Creative claims a battery life of 12 hours for the Sound Blaster Jams. While it varied from charge to charge, we found that we generally did hit somewhere around the 12 hour mark. We’ve seen better battery life, but considering the small size and light weight, this is actually somewhat impressive. On tracks with powerful sub-bass content, like The Knife's "Silent Shout," the Sound Blaster Jam delivers deep bass that is surprisingly strong given the headphones' modest frame. The bass doesn't distort at top volume with the Bass mode activated, though it does seem to teeter on the edge of distortion on this track. We are fans of the ergonomics too. 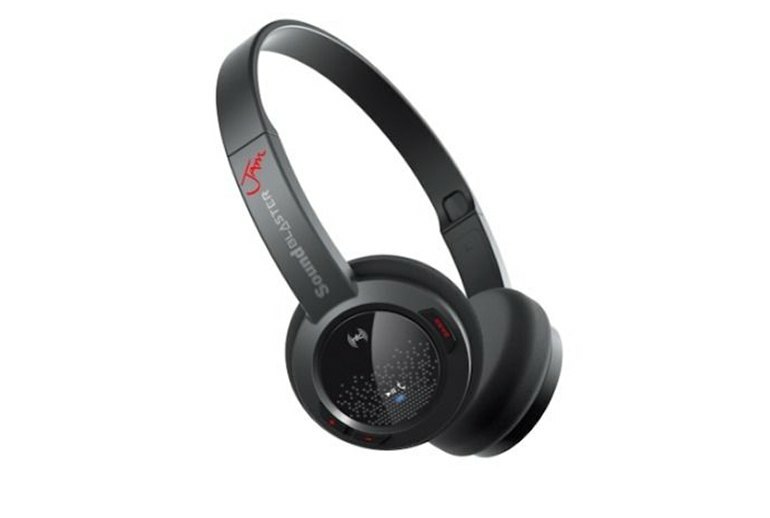 The Creative Sound Blaster JAMs are super lightweight, and don’t clamp too tightly yet feel secure in place – sitting well on the ears. 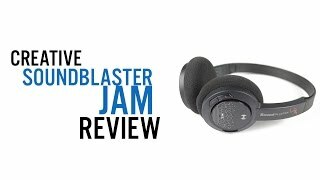 We might be finicky about sound quality, but for many people the loudness and the bass levels should be enough to make a purchase decision in favour of the Sound Blaster Jam. True to its budget roots, the Sound Blaster Jam has a pretty no-frills design; in fact, it looks a little like the headphones that came with the Walkman back in the 80s. 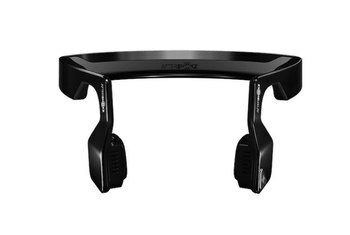 But there is something endearing about its throwback design…On the downside…the dearth of padding on the top of the headband may bother some. Lack of weight is great for moving around but that of course also means lack of padding and anyone like me who is somewhat hair challenged on top who may find this noticeable. They struggle with distortion at higher volumes and with powerful, driving beats, but overall they have excellent full sound, with solid bass and decent treble that is hard to beat for the price.